Our staff is what makes Hunkemöller special. Great people power great brands! Attracting and retaining the best people is crucial to our continued success – we want enthusiastic staff who are great brand ambassadors. We hire for attitude and train for skill. We want to deliver service that’s beyond our customers’ expectations so they will frequently visit our stores and website as well as refer Hunkemöller to their friends and family. To help make that happen, we’ve invested in learning and development more than ever before. 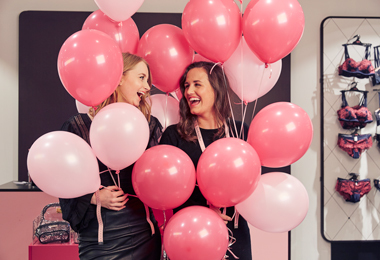 Our introduction program and the Hunkemöller Academy is the foundation of our unique customer service. And with our Award winning ‘In-touch app’ our employees are informed 24/7 about the latest updates and via this app we easily can stay in touch with our customers and each other. Would you like to see more HR jobs?